If you do a lot of running, jogging, or spend time at the gym, then you know how important or how nice it is to have a fitness track with heart rate monitor on your wrist. This will better help you watch your heart rate during intense workout sessions, and also help you stay around where you need to be for maximum caloric burning. Most fitness trackers today come with a heart rate monitor built in. There used to be a huge price disparity between fitness trackers that had a heart rate monitor and those that didn’t, but that gap has closed exponentially. So, if you’re ready to purchase a fitness tracker with heart rate monitor, follow along below — we’ve got the five best listed for you! Coming up as our number one choice, we’re looking at the Apple Watch Series 4. 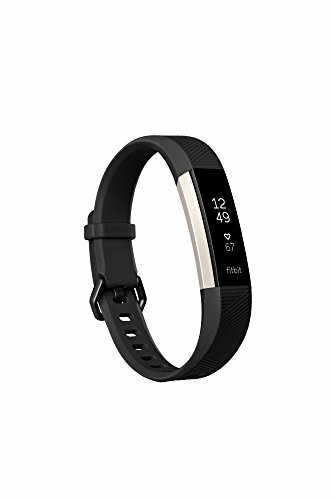 This might be a full-on smartwatch and not necessarily a fitness tracker, but this is actually one of the primary devices folks use to track their workouts. 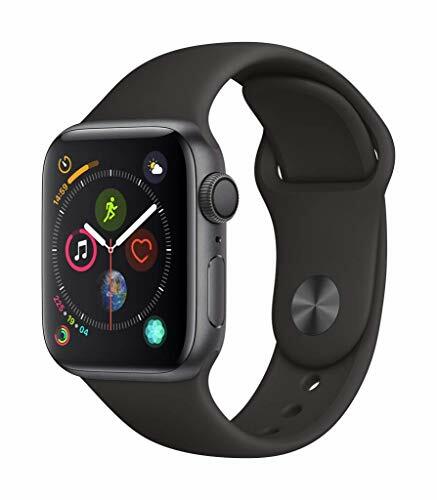 It comes with a built-in heart rate monitor, and connects straight up to the Apple Health app. It tracks your heart rate, steps, calories burned, distance traveled, and so much more. The Series 4 comes with longer battery life as well, making sure that the watch can list around the same time as a fitness tracker.That means less time on the charging pad and longer time on your wrist! One handy feature that it comes with for fitness enthusiasts is “fall tracking.” Turn it on, and the Series 4 will detect when you make a hard fall, and alert emergency services for you. It has an aluminum body, which makes it more ideal for workouts — you don’t want to be carrying around something as heavy as Stainless Steel or something as damage-prone as Ceramic. The Fitbit Versa comes in as number two, being built specifically for tracking your fitness goals and activities. 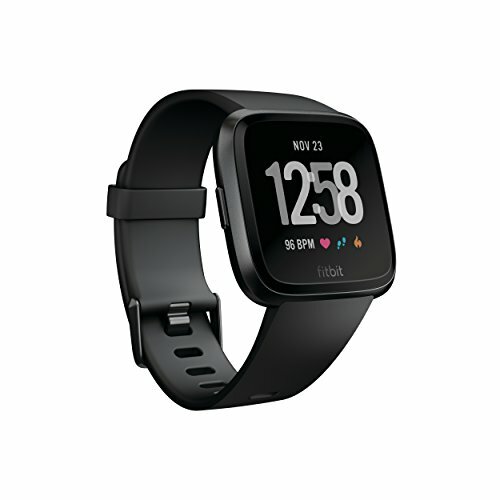 Setup the Fitbit Versa, and connect it to your smartphone via the Fitbit app — afterwards, you’re ready to go! Everything you could ever need in respect to fitness is available natively on this smartwatch — step tracking, heart rate, sleep tracking, distance traveled, calories burned, and so much more. With a GPS inside, you can even get a map of your routes. It’s certainly not the most stylish fitness watch on the market, but it isn’t awful looking either. Don’t like the size of or the experience of smartwatches? 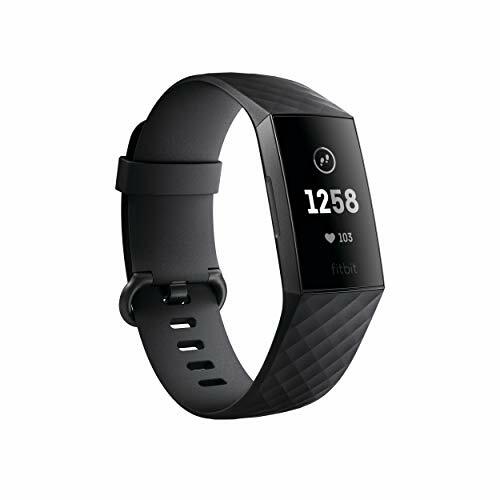 Then the Fitbit Alta HR might be right up your alley. This is Fitbit’s slimmest fitness tracker yet, and they’ve still been able to keep a heart rate monitor built inside. This enables you to better measure calories burned and your average heart rate during workouts. Activity Zones help you with the right workout activity for your goals (i.e. Fat Burn, Cardio, and Peak). The Fitbit Alta can even track your sleep patterns to give you better data on whether or not your sleep is restful or not, and then give you tips on how to improve that. As you might expect, you get your standard fitness functions as well — steps taken, distance traveled, and more. Coming up as our fourth contender, we have yet another option from Fitbit — the Charge 3. This one is actually a little larger than the Alta HR, but that’s because there’s more features packed inside of it. It is still, however, slimmer than your smartwatch. You can better measure calories burned with this one, and there’s a new battery that keeps this one operational for a straight seven days — that’s particularly handy when it comes to sleep tracking. Sleep tracking is highlight of this one, with it being able to automatically record time spent in Light, Deep and REM sleep stages. You’ll also see activity trends, health insights and personalized guidance in one place with Fitbit Today. One other highlight — this one is swim-proof! You can easily keep the Charge 3 on your wrist while you’re doing laps around the pool, lake, or beach! The Galaxy Watch is another smartwatch, but comes with an array of fitness features for tracking activity and workouts as well. Like all smartwatches, it offers users the ability to respond to text messages, emails, and to make and take phone calls directly on the watch with a speaker and microphone quality that rivals the actual phone. Like the Versa, the Galaxy Watch allows for water resistance up to 50 meters (around 150 feet), meaning you don’t have to worry about a little water, rain, or perspiration ruining this. 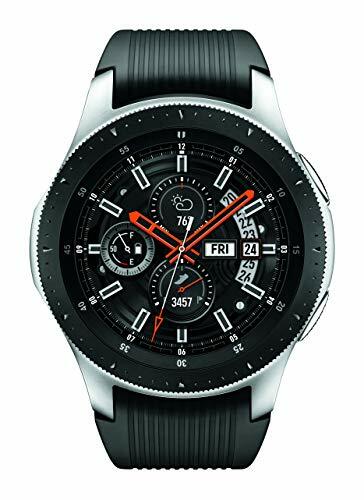 With Samsung Health on-board, the Galaxy Watch has a suite of fitness features, like step tracking, monitoring how much time you spend standing, heart rate, calories burned, and more. As you can see, there are a lot of excellent fitness trackers with heart rate monitor. It’s almost impossible to find one without one today, especially with the closing price gap. If we had to recommend one, we’d definitely say the Apple Watch is the most versatile, though you cannot go wrong with the suite of fitness features found in the Charge 3 or Versa either.